In his choice of literary source material for his first song cycle the British composer Ralph Vaughan Williams was already revealing his sharp eye for quality: the lyrics for his “Songs of Travel” (1901) were taken from a newly published volume of poetry by Robert Louis Stevenson, whose verse has always been overshadowed by his great novels. In this edition of “Songs and Poets” Williams’s lieder are placed in juxtaposition to arguably the greatest cycle in the history of French liedkunst: Maurice Ravel’s 1926 “Chansons madécasses” based on prose poems by Evariste de Parny, an obscure 18th-century French poet. This cycle, in the unusual configuration of vocals, flute, violin and piano – a clear rejection of salon exoticism -, renders de Parny’s Madagaskar as a fascinatingly different world bursting with sensuality on the one hand and archaic violence on the other. Providing his own response to the songs will be Farhad Showghi (born 1961 in Prague), tipped as the boldest poet working in the German language. 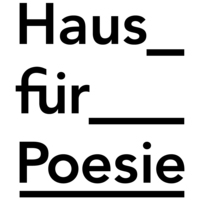 For his latest volume of poetry, Wolkenflug spielt Zerreißprobe (kookbooks, 2017), Showghi received the Peter Huchel Prize, Germany’s most prestigious poetry award.